Please join us anytime 10AM – 1PM Saturday February 23 at 1100 NE 130th Street (via 15th Avenue NE) for our twice-monthly workparty. You aren’t required to “work”, but we would like to show off our hundreds of newly planted trees and shrubs (marked with yellow flagging tape). Do bring waterproof footwear, as most of the trails are muddy. We’ll have hot chocolate and snacks. Gloves and tools provided. 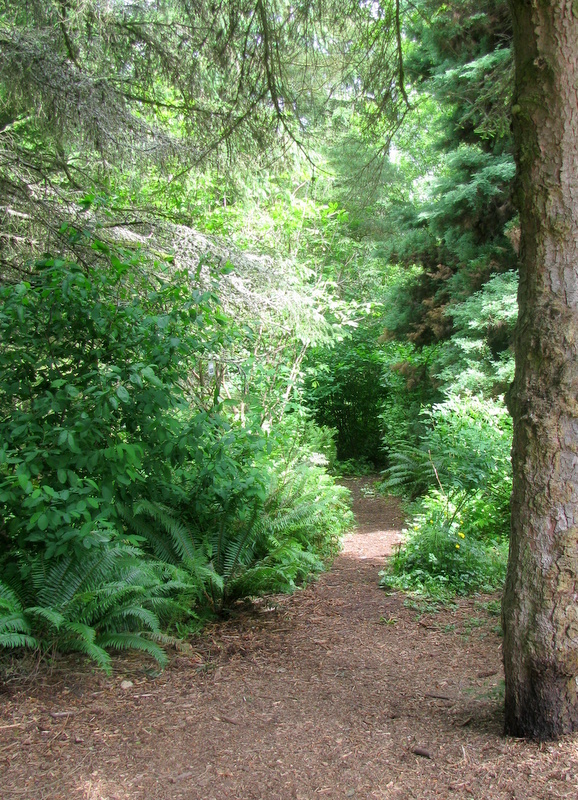 The Friends of Licorice Fern Natural Area’s purpose is to re-forest this 8-acre canyon after its traumatic logging in the early 1900’s and the invasion of exotic plants that prevent big trees from starting. We are guided by the techniques and support of the Green Seattle Partnership http://greenseattle.org and the Parks Department. Our long-term plan document guides our work. We progress toward the long-term goal through volunteer service. Our workparties are open to the public, usually second and fourth Saturdays. In 2012 we held about 18 workparties. Our University Prep School work parties had 30-40 young workers, and the United Way Day of Caring workparty had about 30 adult volunteers. Many of our announced workparties attracted only 2 or 3 volunteers. 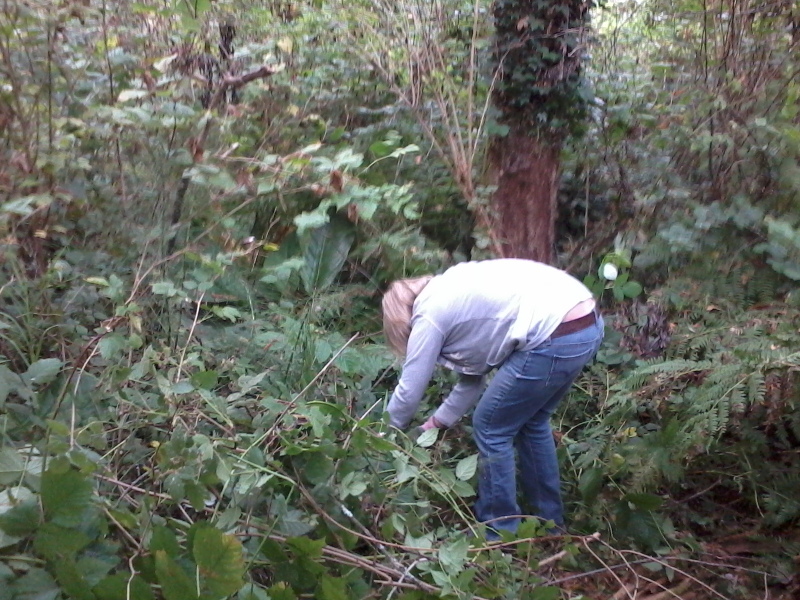 Clearing invasive ivy and blackberries occupied many of those volunteer hours. Once an area is cleared, we plant native shrubs and trees that will be the basis for the new “natural” forest In 2012 we planted about 200 including about 40 trees (Douglas fir, western red cedar, and Sitka spruce) and 120 native shrubs such as indian plum, ninebark, snowberry, Oregon grape. Trail maintenance is important to give access to areas for work. Visitors need walkable trails for exploring. In wet winter months the trails near the creek are very muddy in spots, with logs or boards to walk on. For summer months, newly planted shrubs and trees in the drier areas need hand-watering for at least the first summer. The Parks Department has supplied us with an 1100 gallon plastic water cistern. The piping needed to get the water to the plants will be installed for the 2013 summer. Tool storage is convenient in the large steel JoBox toolbox that the Parks department has installed on site. We are a small core of workers and supporters (see the Steering Committee list on the website http://LFNAFriends.org ). We were supported in 2012 by a $500 anonymous contribution, which bought plants and trees, refreshments, tools, and paid for many trips to the hardware store. This tiny budget does not allow for hiring specialty crews, posting proper signage, or purchasing larger numbers of plants and trees. Thanks to all the loyal volunteers and workparty attenders for a good solid year of accomplishment. Over 30 eager volunteers from Moss-Adams and Nordstrom worked hard at Licorice Fern on September 21, improving our Natural Area. They participated in United Way’s “Day of Caring”, and they did care. First we walked the trails to orient everyone to our creek and woods. Then the work began. One team spent hours clearing wetland invasives to make way for new plants later this fall. The weather was perfect for work in the cool creekside woods. After clearing the invasive reed canary grass they spread cardboard and wood chips to prevent the reed canary grass from regrowing. 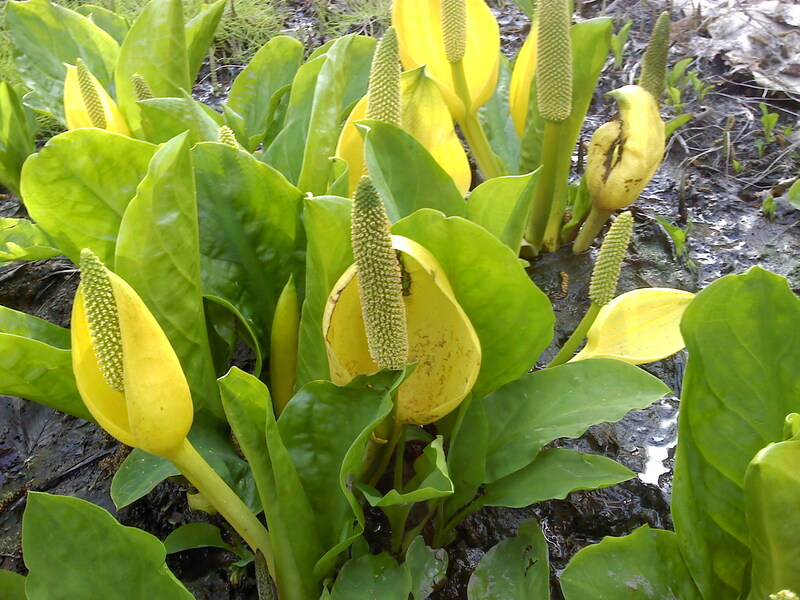 In that area will go wetland loving plants like black twinberry, sedges, and skunk cabbage. 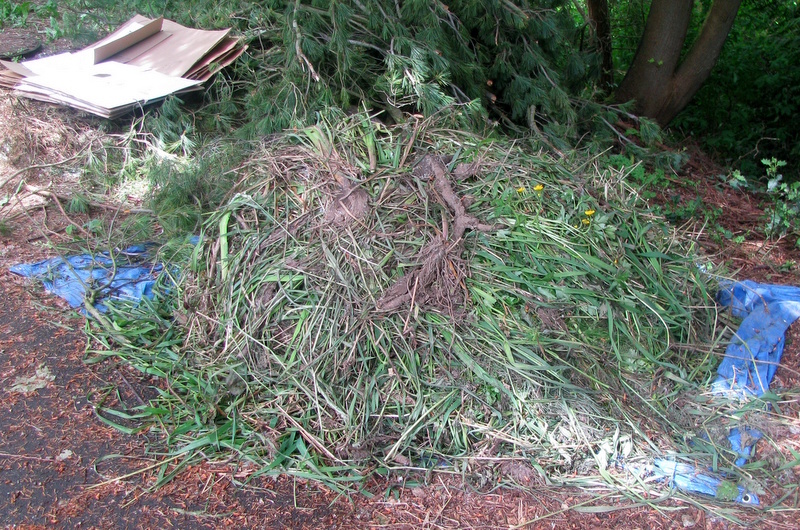 A second team attacked a new less-wet area that was choked with ivy. 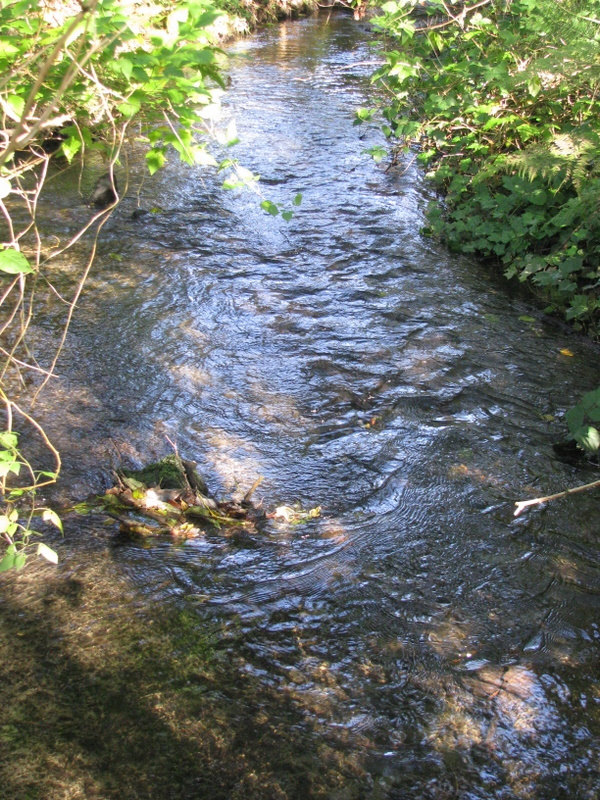 The pulling and piling exposed the native salmonberry and indian plum that will now flourish with less competition. Also cleared was a giant cedar stump that now shows its native red huckleberry shrubs growing out of the top. Other teams moved compost heaps, installed a new 1100-gallon cistern for summer watering of new plants, and hauled wood chips down to the wetland clearings. Then the delivery of delicious lunches arrived, making for a welcome break at midday. Then more work completed in the afternoon, a job well done. 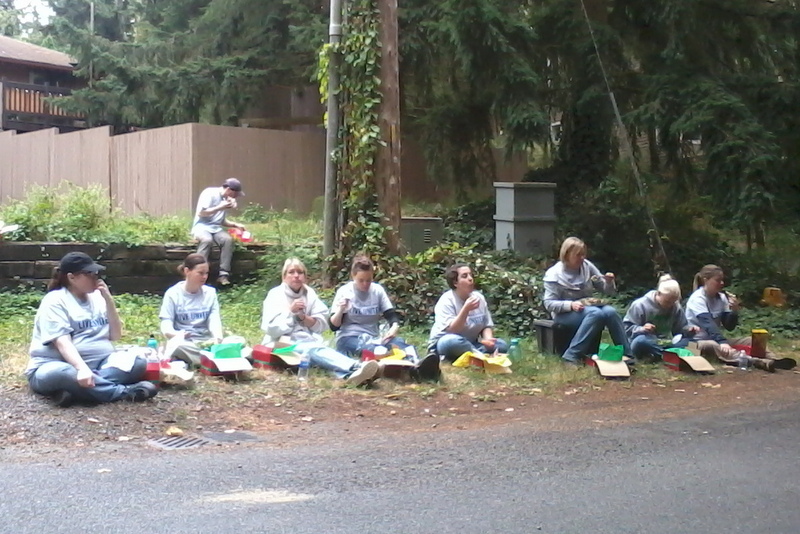 Our small neighborhood crew was grateful for the energetic help of the visiting volunteers. We hope they will be back next September to admire the results of their work. Eight enthusiasts from Nathan Hale High School’s EarthCorps Club lent their energy May 26 to clearing weedy plants to make room for new native plantings next fall. They cleared a large area of Reed Canary Grass that is very wet in the winter, then placed cardboard over the area. The next step will be to plant willow and red-osier dogwood starts to shade out the grass. They also cleared an area of yellow-flag iris to be treated with the same shading method. 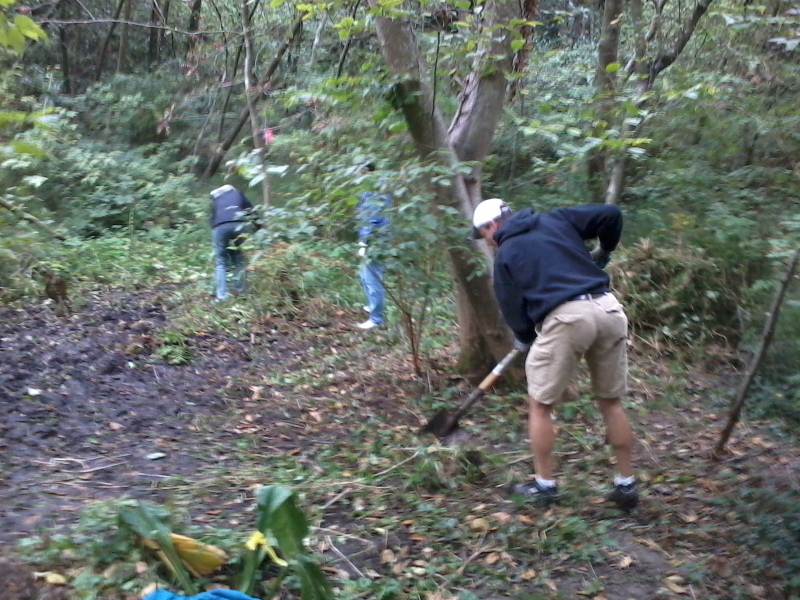 Trail maintenance, pruning, blackberry removal, and drainage ditching rounded out the day. We greatly appreciate these young people, their energy, and their dedication. School’s out now, but we’ll be welcoming them back next school year. Our Friends group is small but progressing on our goal of re-foresting these 8 acres. With a number of small workparties in the rainy months we have cleared a lot of ivy and blackberry thorns, improved the paths so they are rarely muddy, and planted about 250 plants and trees. Now as we move into nicer weather, we’re planning on more ambitious projects, moving out into new areas, tackling the control of the most rampant weeds, faithfully watering the new plants and trees, and drawing in more neighbors to enjoy our beautiful green paradise by Thornton Creek.